When you think of flowers... think of ours! 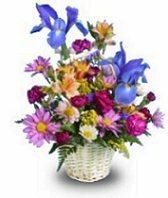 Floral Accents has been a leading full service florist in the West Valley City area for many years and our designer has over 19 years of floral design experience. Whether you prefer something time-honored and traditional or something contemporary and modern, we design our flowers with you in mind. At Floral Accents, we design breathtaking arrangements for large or small parties and events. Let us make all your special occasions, extra special! Our shop is conveniently located on 3500 South and is open daily to serve your floral and gift giving needs. Monday through Friday 8:00 am to 7:00 pm ~ Saturday 9:00 am to 5:00 pm ~ Sunday closed. We also deliver daily to all local funeral homes and hospitals. Specializing in Gifts for Every Occasion, Funerals, Balloons, Lucky Bamboo Plants, Corsages/Boutonnieres, Novelty Gifts, Beta "War & Peace" Vases and more! 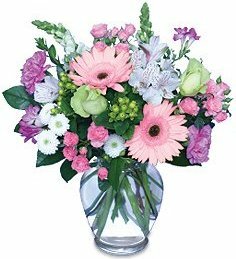 Look to Floral Accents for unique gift ideas for any age or gender such as: delicious gourmet and fruit baskets, personalized gift baskets, porcelain dolls, angels, assorted gift items, plush stuffed animals, and silk & dried flower arrangements.